Cynk Technologies (CYNK), the mysterious penny stock that inexplicably skyrocketed 25,000% over a period of roughly three weeks, fell off the cliff known as reality on Friday. Shares tanked 80% Friday -- their first day of trading following a suspension by the Securities and Exchange Commission two weeks ago. The SEC cited "concerns regarding the accuracy and adequacy of information in the marketplace and potentially manipulative transactions in CYNK's common stock." The company grabbed headlines earlier this month when its meteoric rise from a mere six cents per share to $21 gave it a market value of $5 billion, which is more than well-known brands such as Domino's Pizza (DPZ) and GameStop (GME). Cynk shares were back to around $2.50 in late morning trading. Because the stock is traded "over-the-counter," it doesn't have the kind of transparency associated with those that list on an official exchange such as the New York Stock Exchange or Nasdaq. The SEC declined comment Friday on the resumption of Cynk trading. But Cynk's main problem is that it is unclear if the company is worth anything at all. 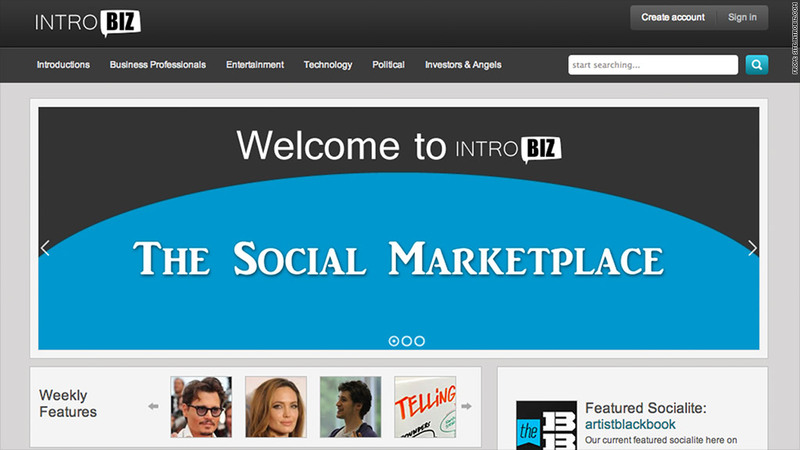 Billing itself as a "social marketplace," the company's web site (theintrobiz.com) features pictures of famous people and claims to allow users to "buy and sell the ability to socially connect to individuals such as celebrities, business owners, and talented IT professionals." For example, $50 will allegedly get you the contact information for Angelina Jolie, which "usually includes email and phone numbers to the artist's talent agent, publicist, legal representative," according to the site. In other words, it's probably not the next hottest thing in Silicon Valley. Or Wall Street.